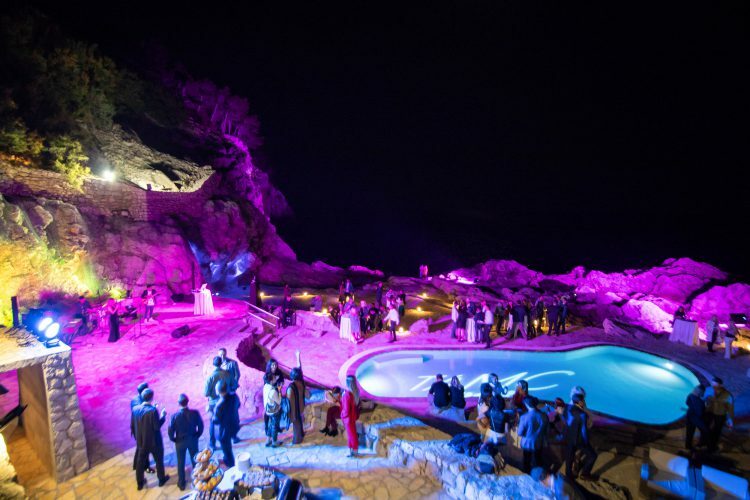 The world’s top aesthetic doctors gathered in Dubrovnik last month. 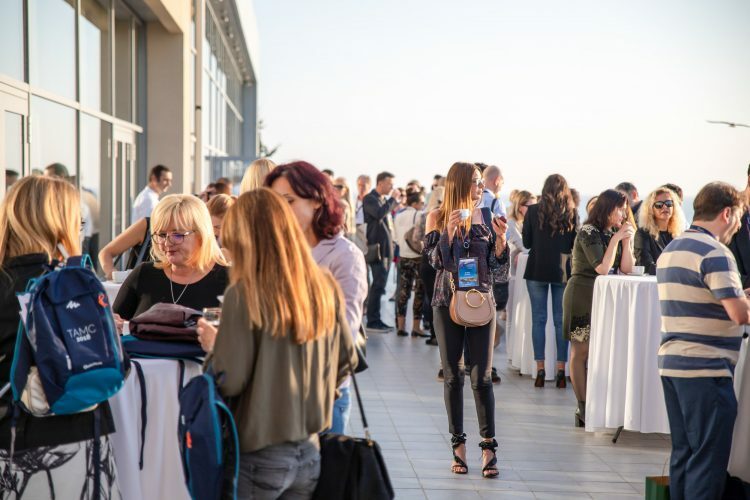 The occasion of their gathering was the international aesthetic congress, The Aesthetic Medicine Congress (TAMC), which was held from 19 to 21 October in the Dubrovnik Palace Hotel. In collaboration with the British College of Aesthetic Medicine, it was organized by aesthetic physician Nikola Milojević. This aesthetic physician with an international career, known in the United Kingdom as the “king of Botox” is the first in Croatia to gather so many international aesthetic medicine experts. The very beginning of the congress signified that this is a top event. In order to explain to those present the reason for his return to his native city and homeland, Dr. Nikola Milojević started the opening of the congress with a video about the natural attractions of Croatia. Thus, photos of the Adriatic Sea, Slavonia, Plitvice Lakes and all other natural attractions of Croatia were shown one after another on a 10-metre screen. An emotionally charged speech did not leave a single congress participant indifferent. 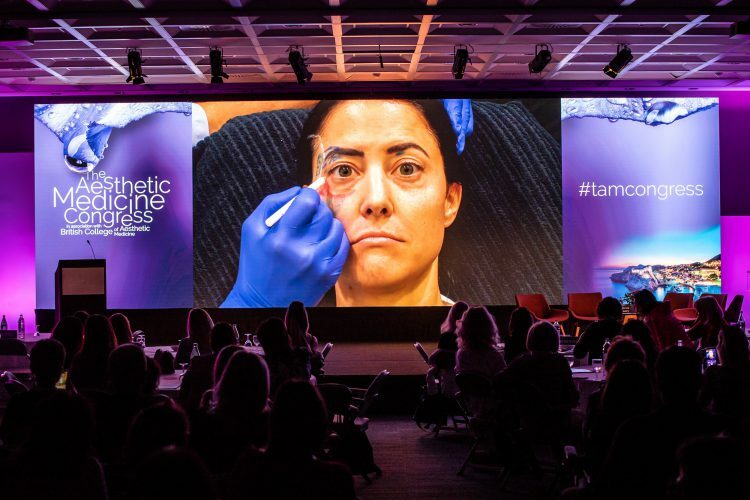 Through lectures, workshops and panel discussions, during the three days of the congress top aestheticians dealt with all aspects of aesthetic medicine and presented international trends. We would like to highlight several lectures that spurred the greatest interest of the TAMC 2018 participants. Dr. Tapan Patel, founder and director of the PHI Clinic, is recognized by experts and patients as one of the most talented and most skillful aesthetic physicians in Great Britain. With over 15 years of clinical practice and more than ten years of performing aesthetic treatments, he has recently been included in Tatler magazine’s top 30 anti-aging experts. On the first day of the congress, Dr. Patel presented a new approach to facial rejuvenation, the so-called ‘whole face approach’. Until recently, aesthetic physicians addressed one or two critical areas, while today they are looking at the condition of the entire face. After a detailed ‘analysis’ of its condition, application of fillers in all the strategic sites is carried out in order to perform a non-surgical face-lift. Therefore, this consists of applying small quantities to all problem areas, such as the cheeks, chin, temples, etc. As fillers are applied to multiple areas, the entire face is lifted and the volume restored. Thus, we avoid the inflated look that was most obvious in cheeks that were lifted too high or lips that were too large. Up to 12 ampoules of the filler are required for each treatment, but despite this amounts, patients get a complete look, so this new approach is called ‘more is less’. To put it visually, 12 ml of dermal filler can fit into one tablespoon, which is actually not a large quantity, even though it seems that way at first. The conclusion is therefore that the problem of earlier approaches was overdoing the filler doses in certain zones, e.g. only the cheeks or lips were filled. In addition to overdoing the doses, the application technique was also at fault, as the filler was injected into the fatty deposits, not underneath them, resulting in the ‘pillow face’ appearance. This was also the reason for the ‘less is more’ approach, so that recently only one filler has been applied to a specific zone in order to achieve the most natural result of the treatment. Herve Raspaldo, plastic surgeon and member of the International Society of Aesthetic Plastic Surgery, and France’s Society of Plastic and Reconstructive Surgery, and Dimitrios Sykianakis, specialist in the field of anti-aging and aesthetic medicine with 18 years of experience as a medical coach for the use of type A Botulinum toxins and fillers also presented the whole face approach in their workshops. The second day of the congress, Herve Raspaldo presented chic lift – an innovative approach to treating the eye area. Namely, the application of filler through a needle or cannula in the areas under the eyes, around the eye and in the upper eyebrows removes the bags under the eyes and ‘opens up’ the eyes of the patient. The specific layout of the fillers actually forms the shape of the letter C, from which the name of the treatment is derived. He showed the results of this innovative approach on photographs of top French models. The minimally invasive one-stitch lift was shown by Dr. Peter Prendergast. President of the European College of Aesthetic Medicine and Surgery professional association, and Director of the Venus Medical Polyclinic for the past nine years, he has developed a specialty in non-invasive and minimally invasive procedures for improving the appearance of the face and body. The one stitch lift is performed under local anaesthesia, and includes only one cut and one stitch on each side of the face. The procedure is ideal for lifting the face, lifting the cheeks, decreasing the double chin and smoothing the skin on the neck. The results look natural, which is confirmed by Madonna, who allegedly underwent this treatment. Another star of this aesthetic congress was Koenraad de Bouelle, dermatologist and director of the Aalst private dermatological clinic in Aalst, Belgium. He was among the first to perform filler treatments; more precisely, he has been performing them since the 1980s. Dr. De Bouelle is number one in diagnosing and treating complications of non-surgical interventions. In addition to specific examples used to explain the methods of solving complications, he dedicated specific lectures to the history and development of aesthetics, rejuvenation techniques, taking into account the physiognomy of the face throughout the years. Michael Jackson’s former dermatologist, Dr. Patrick Treacy, was also among the invited lecturers. Known as one of the most influential aesthetic physicians in the world, he was named one of the top 100 best global leaders in aesthetic medicine in Los Angeles in 2017 and 2018. 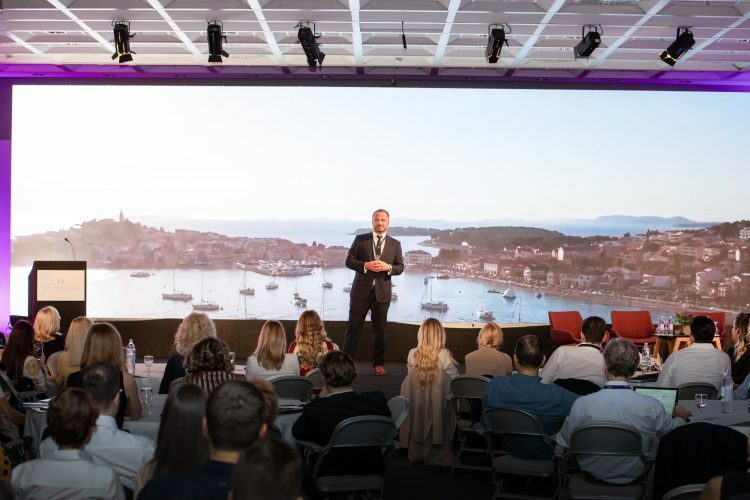 He held a lecture in Dubrovnik about the human need for rejuvenation and the extent to which social networks have influenced the development of the aesthetic industry. One of the most successful aesthetic physicians, Dr. Rita Rakus, advised congress participants on how to run a successful business. Namely, the “British queen of lips” leads one of the best clinics in London, the largest laser clinic in Great Britain. She also operates in Dubai and Monte Carlo. 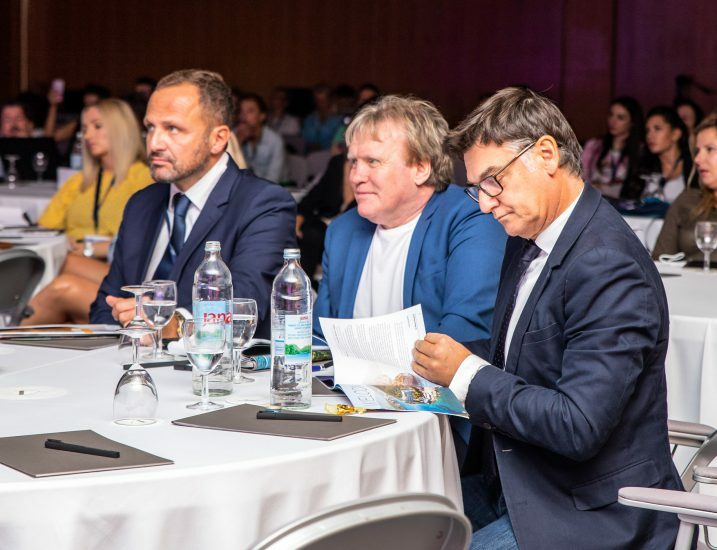 Along with prominent lecturers at the congress, new trends were presented by aesthetic cosmetic and sexual physician Dr. Sherif Wakil, director of an appraisal consultancy company Dr. Paul Myers, as well as many Croatian experts such as plastic surgeons of the head and neck Dr. Zoran Žgaljardić, dermatologist Željana Bolanča, maxillofacial surgeon Aleksandar Milenović and others.